OLD PARKED CARS. 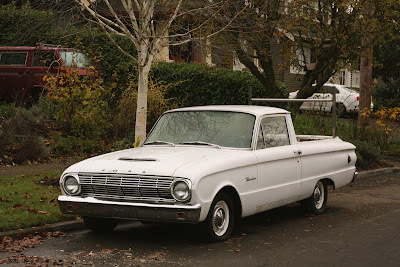 : 1962 Ford Falcon Ranchero. while we're on the topic, how about the similarity between this post and this one? From 1960-65 it's Falcon Ranchero. thanks for the heads-up, joey! Too bad you didn't get a shot of the stylish yet lethal dashboards those things have. What a beautiful, honest little truck. 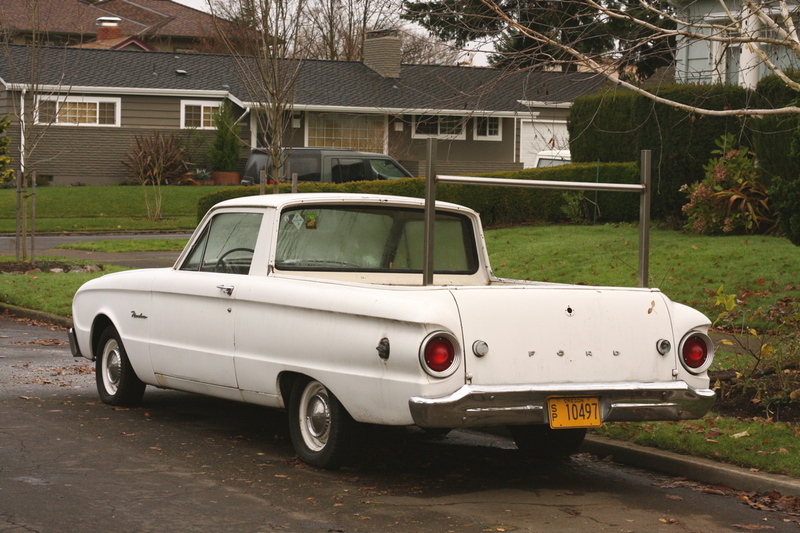 I like the ladder rack. 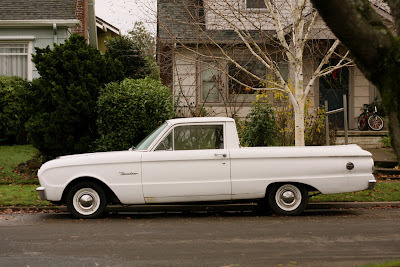 It's such a great idea- pickup truck with car economy. The ladder rack is awesome-this would be a good painter's work vehicle, hehe.